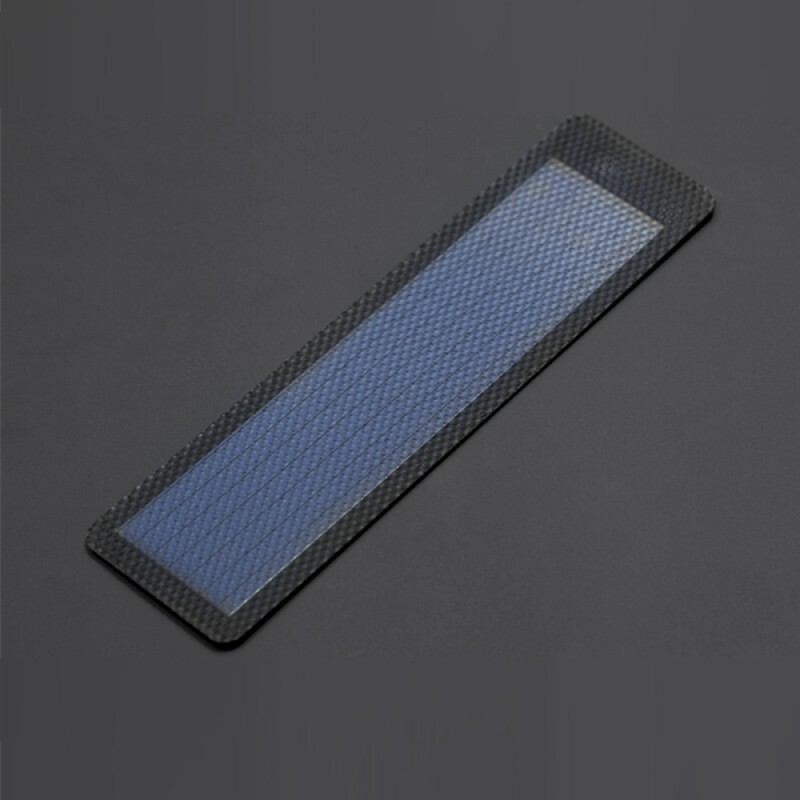 Light, thin and versatile solar panel at 1.5V/250MA. Unlike regular solar panels, it is truly flexible to be bent, sewed or treated in the clothing to match any kind of surface line. A good choice for DIY enthusiasts in selecting an alternative power source. Clean energy, in a compact size and a versatile form. The black edges can be easily cut or sewed, and the solar panel is waterproof. Size: Length 165mm (plus black edges 195mm) X Width 38mm (plus black edges 58mm) X thickness 0.5mm. Weight: 18 g ± 2 grams. Note: The above refers to the electrical performance parameters measured under standard test conditions, namely: light intensity 1000W / ?, spectrum AM1.5, cell temperature 25 ?.